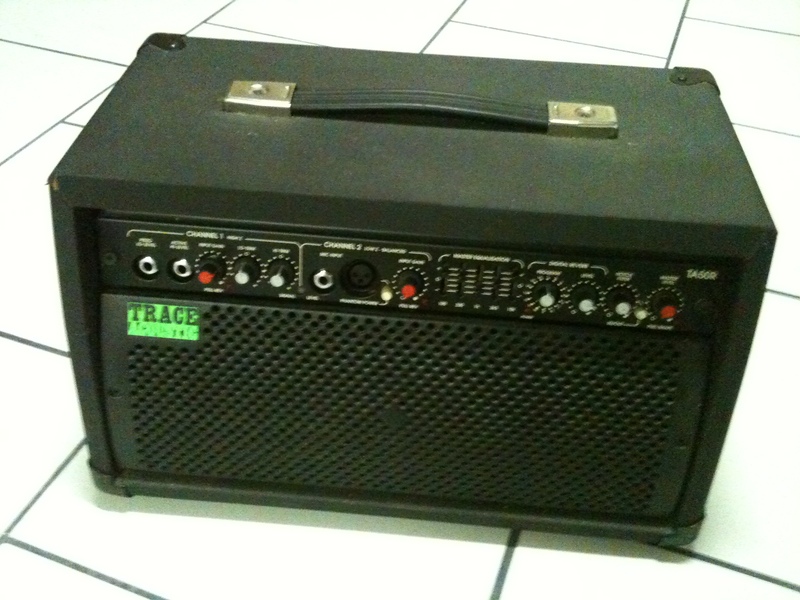 TA50, Acoustic-Electric Guitar Amplifier from Trace Acoustic. - Channel guitar for Electroacoustic between a "normal", so pizo + prampli stack, and a microphone between magntique or for electric guitar is for those who use a micro rosette. Tone Gain + (severe acute +). - Symtrique XLR microphone channels (with 48 V "phantom") or jack asymtrique. Another knob gain. - O "link" line level particulirement be useful for attacking a pregnant amplified if the watts are missing, either to return a third source of sound, rhythm box or other. - No raccoon but a power outlet! - Graphic equalizer 5 band gnral typical Trace Elliot: we find the same on other amps of this brand, almost all in fact. - Volume + gnral a cross "shape" that acts like an "enhancer" or SETTING THE "prsence". - Slecteur internal effects (16) and knob rglage of such effects. - Each channel has a gain SETTING THE (+ bass and treble for the channel guitar) and an inter-off effects. It is the list is over! So there&#39;s plenty to do ... It&#39;s actually more a "portable sound system" a guitar amp, you can plug in a skyscraper simultanment (acoustic or electric), a microphone for singing and / or harmonica and a rhythm box or other gear of the same genre! To be honest there are plenty of rglages possible, so you can easily get the worst and the best, especially the worst! The manual is not totally useless, it saves time. In fact it must prrgler according to the instrument and not to gain too much fiddling and tone once "is good." For audio you put everything Tone 0, no effect or "shape" and climb the gain until the little light green loupiotte normal. LED (it is) should turn red on the ridges. This can be done tinkering with the Tone and qualiser to get louder the sound of the guitar with no amp. Finally add effects or "shape" control, not to mention the anti feedback always helps if you play hard. For the electric is simpler, it does the same except that there is more freedom of rglages, the two pots of Tone are effective and useful. Useless to try to saturate it is not done! Finally it was the sound ... and it is not far from the. For acoustics is excellent, the amp does not "color" absolutely no sound if rgl properly. One can safely connect a guitar "luxury" will be your exact height. We promne in a EAR or a Roland AC 60 to give an ide of sound quality. More surprising is obtained with an electric guitar (yes, really!) Clean sounds out of this world, or the jazz fans apprcieront country. It is clear without being aggressive, the bass come out clean and the sound of each instrument (or arch-top solid body) is well respected. To be honest I tried it a jazz box and a ... Telecaster, and in two cases we recover the personality of the guitar. 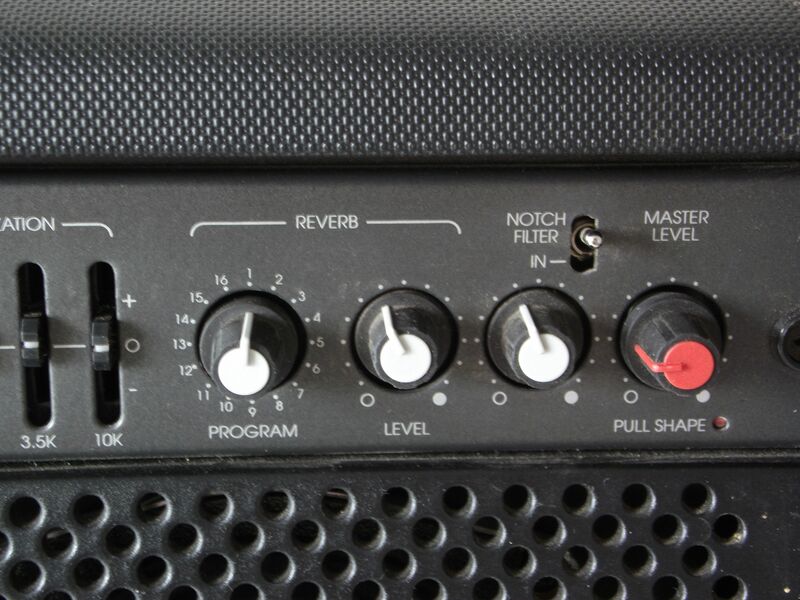 It can also, as the amp is trs neutral, use an amp simulator "POD", "V-Amp" or other "TECH 21" with good rsultats. 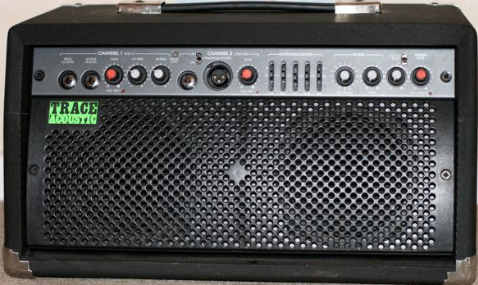 Even better with an amp "electric" its traditional "colors" the sound voluntarily and can often do too much. So a game is possible in more saturated electric but with something like a between the guitar and the amp. Well it&#39;s not a Marshall stack or Mesa but all the same "is made" without flinching. I used between the "micro" as background music for a confrence and between the "link" with a synth to see if worked, when I bought the Used machinery. The power is thunderous considering its size and power ad, it&#39;s really hard and rev it does not saturate even high volume (again: rgl pile hair!). Ample for the concerts at the bistro around the corner or the MJC district! It does not blow but can sometimes make the hum if the outlet has no land or in the vicinity of a computer (which pollutes everything electronic proximity. 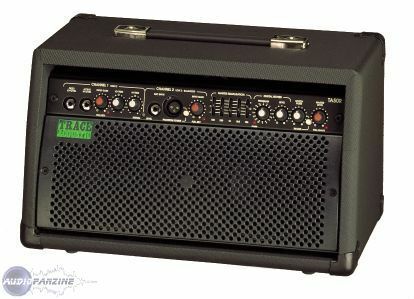 I play mostly blues (acoustic or electric), I was looking for an amp not bulky, powerful enough, and "all terrain". And I found the above. Trs to dpart not convinced by the arguments of the seller, but once the fawn assimil using it is a real Swiss Army knife. Trs good acoustics (normal considering the price and specifications) can also play electric it shamelessly. Moreover force jazz guitarists use this type of amplifier for their "arch-top" expensive, like what ... It is also effective with trs amp simulators which it adds or takes nothing away, making it possible to venture into more rock records. I tried a lot of different amps and Varis, but usually too typs. To stay in this kind the EAR 60 is a bit better but a price deterrent and Roland not as good, although its a beautiful chorus. The Trace Elliot is no longer manufactured but expensive and silent "is" well on the hill occasion. It is rather difficult to find one. 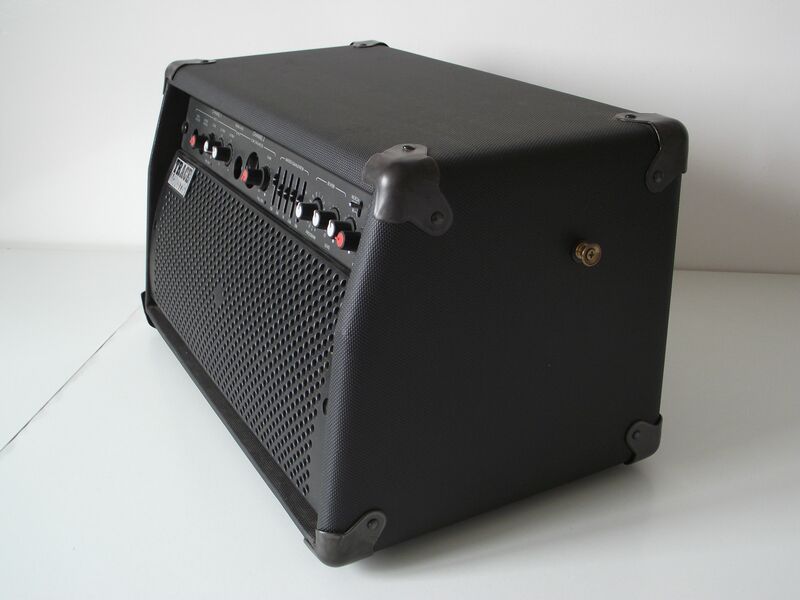 Trace Elliot has refocused on the bass amp but still in the high end. Ultimate dtail: "Made in England", not Tawan or Korea. This means that it is made basic components of quality and above all readily available commercially from us. As is schmas, nomenclature and instructions on the Internet Repair Tool ... it&#39;s quite handy in case of breakage! In short I do not regret this purchase, on the contrary! Dgotter remains a nice little chorus, which should not be too hard.